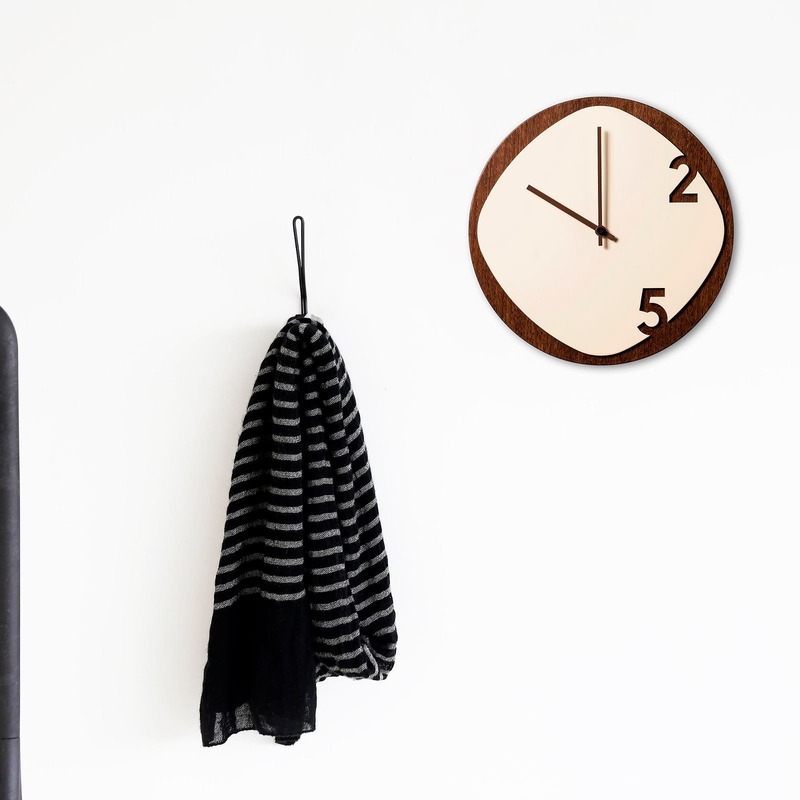 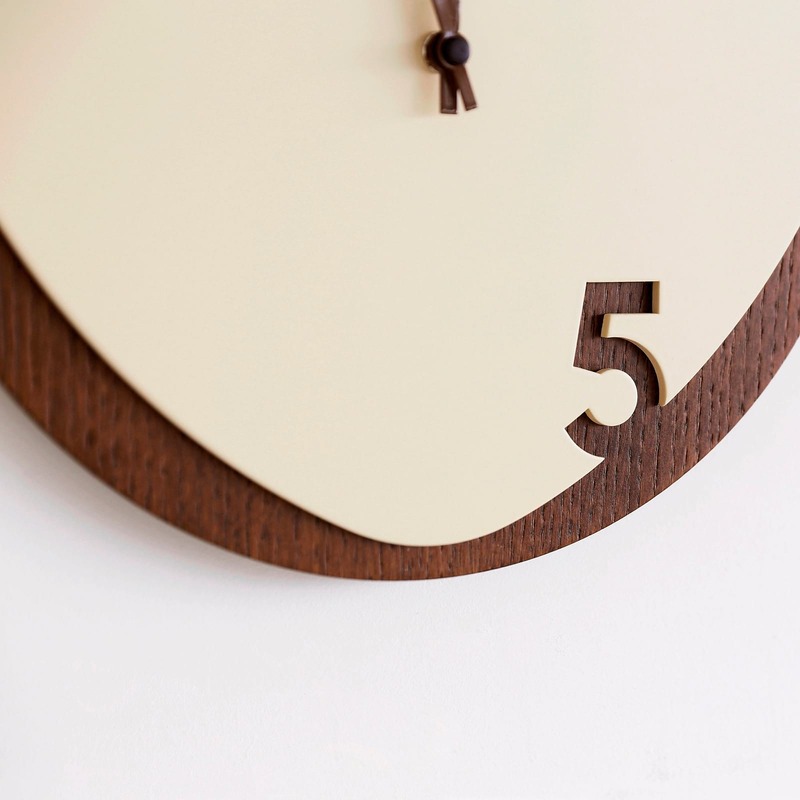 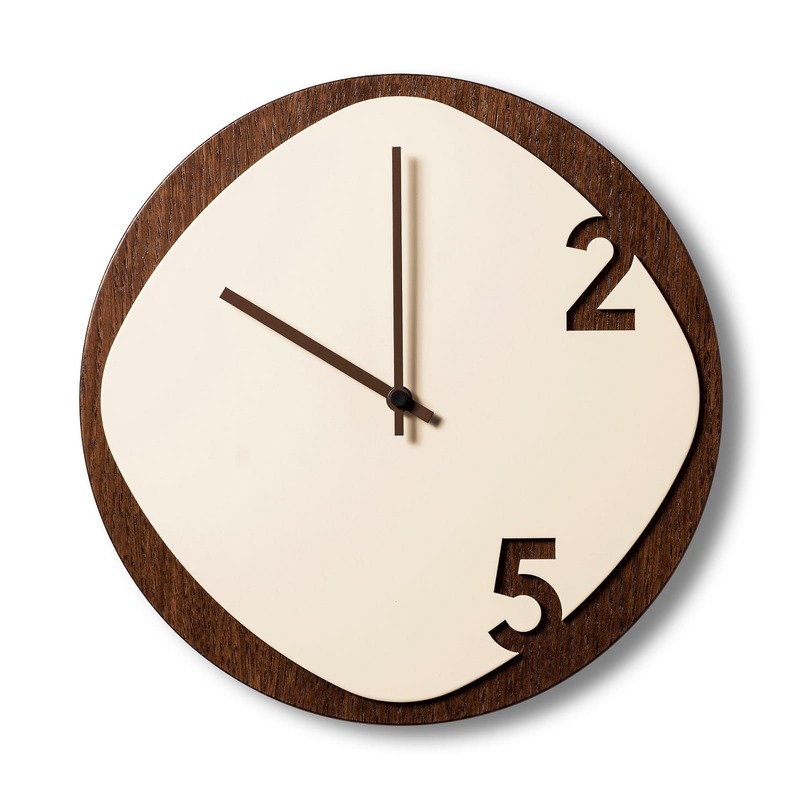 Clock 25 by Sabrina Fossi is a wooden wall clock consisting of two overlapping laser cut surfaces in Cream & Wood color. 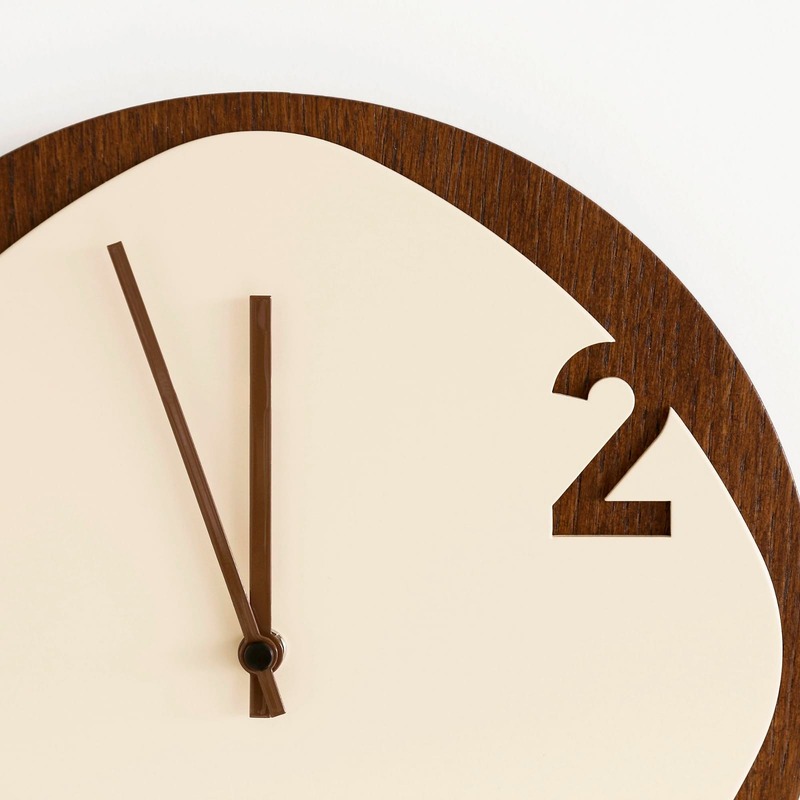 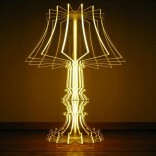 A simple silhouette made from a natural material is produced with a combination of advanced robotic manufacturing and hand-crafted techniques. 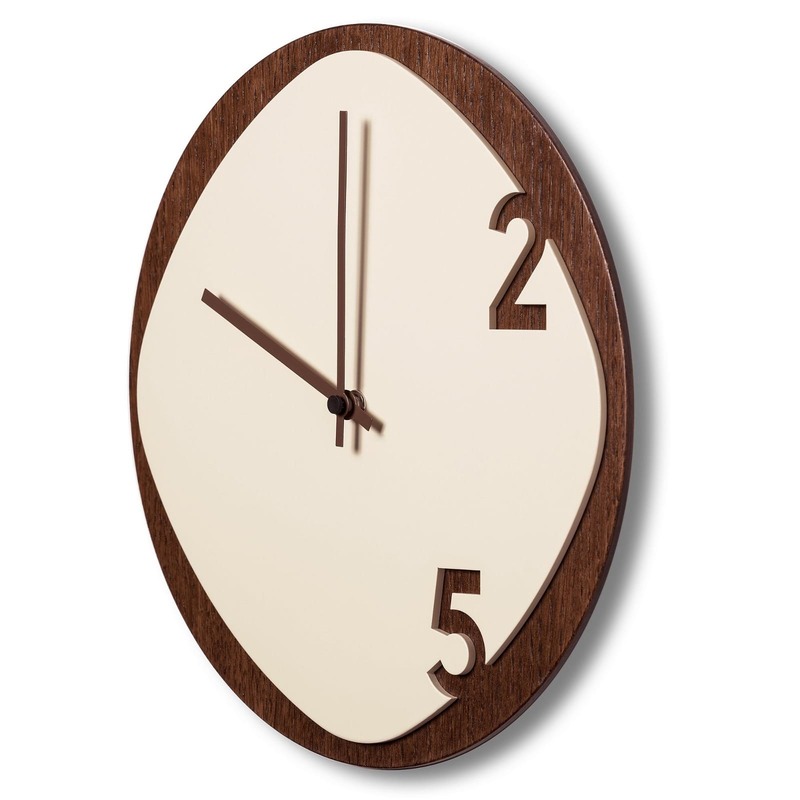 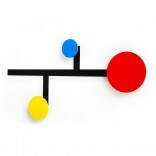 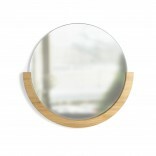 Hang up this lovely Made in Italy timepiece to brighten your house with a modern touch.